Thirty years ago the “entertainment” system on a 50’ sailboat was a casette tape player. We tried not to go over the top, but we still have a better entertainment system on New Morning than we have at home! 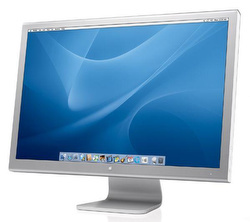 The center piece in the salon is a 30” Apple Cinema Display. This is connected to either one of the MacBook Pro’s, or the iMac at the nav stn. 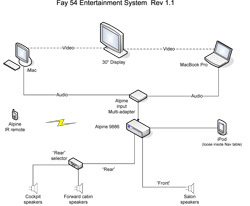 Its got a beautiful picture for movies, TV shows downloaded from iTunes, sharing photos from our computers or to review a route in MaxSea. The 30” display is flanked by a pair of B&W CWM800 speakers flush mounted into the joinery. car stereo. Another pair of B&W CWM800 speakers are built into the forward cabin joinery and a pair of PolyPlanar MA5104 speakers are mounted into the aft cockpit coaming facing forward. The Alpine unit is very versatile with AM/FM radio, CD player, USB input, iPod controller and accepts input from two auxiliary sources. The Alpine has a four channel amplifier so we wired it such that the “rear” speakers are either in the cockpit or the forward cabin (or neither). This allows us to have music in the cockpit and salon, salon and fwd cabin, or just the salon. And the fader controls the balance between them so we’re not blasting out the salon when we want to rock the cockpit. The Alpine unit will directly control an iPod so we leave an iPod more or less permanently connected. Occasionally we connect the iPod to a MacBook Pro to update the playlists, add new music, etc. But day in and day out we just play music off the iPod via the Alpine. For music we have over 800 CDs in iTunes on the MacBook Pro and iPod. For additional audio content we download podcasts from NPR whenever we have an internet connection. For video content we have a collection of over 200 movies on DVD and another 40 or so on an external disk. For more current material we purchase TV shows and movies via iTunes. Whenever we have an internet connection we get current with The Daily Show and enjoy CSI Las Vegas, Nurse Jackie and 30 Rock. While the video files range from 250MB to 2GB and we usually have a weak connection, iTunes is very tolerant and persistent so with patience we receive our content. 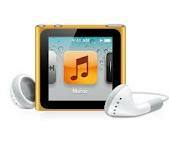 The last pieces of entertainment hardware are the iPod Nanos. These are amazingly small and perfect for when we’re working on deck or just doing chores. We slip them into our pocket, run the wires under a shirt and pop in the ear buds. Listening to Terry Gross makes a long watch pass quickly or cleaning the stainless much less boring.